"This will be the first time we will have a standalone cruise brochure for Travel 2"
Travel 2 is to launch its first standalone cruise brochure later this year in response to agent demand for long-haul holidays incorporating cruise itineraries. The trade-only operator is currently in the middle of releasing its brochures for 2017, which are being published at the rate of one brochure per month. Sister operator Gold Medal is adopting a different strategy with all 10 brochures due to be released on December 8, followed by its upmarket brand Pure Luxury a week later. Travel 2 has already released Florida, Middle East & Indian Ocean, Asia and Africa brochures, while the Simply Luxury brochure came out last month featuring 21 new hotels across the world. 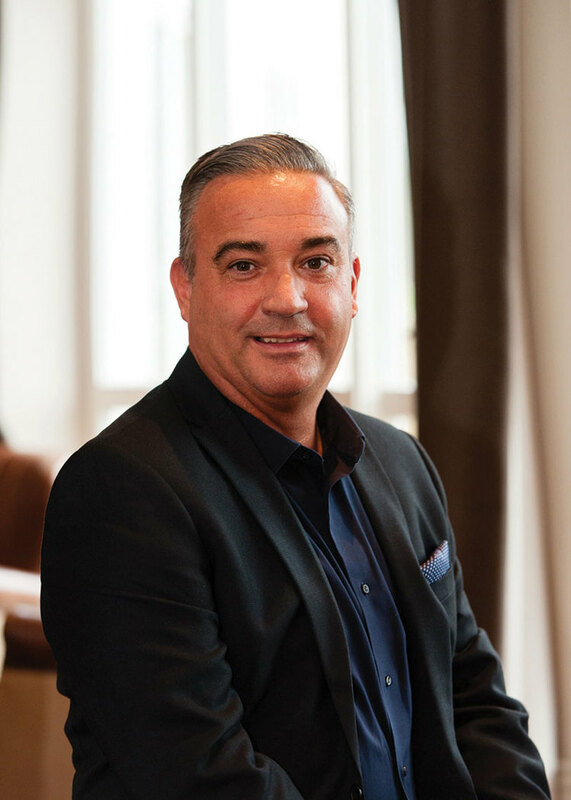 Gordon McCreadie, director of sales and marketing, Gold Medal and Travel 2, says: “We have featured little bits of cruise in other brochures but this will be the first time we will have a standalone cruise brochure for Travel 2. Travel 2 will be featuring cruise lines such as Celebrity Cruises, Royal Caribbean International, P&O Cruises and Princess Cruises in the brochure, which will purely focus on long-haul itineraries and will not feature any European voyages. “It will all be long-haul with the cruise being part of a bigger itinerary, which might include a couple of nights in a city and a land-based tour,” explains McCreadie. “We will offer destinations like Asia, Australia and Latin America. Travel 2 is also adding Ryanair flights to its Simply Luxury short-haul programme, with the brochure due out in January 2017. “There’s demand for this from agents because some airports, such as Stansted and Prestwick, are only really served by Ryanair,” says McCreadie. Another development, which will apply across both Travel 2 and Gold Medal programmes, is to only include hotels within brochures that have a minimum rating of at least four stars on TripAdvisor. In Florida, Travel 2 has added more theme park options from both Universal Orlando Resort and Walt Disney World Resort, plus the new destinations of Daytona Beach and Marco Island. “We have a stronger offering from Disney as part of the Gold Medal and Travel 2 brands coming together,” says McCreadie. Sales to the Middle East have risen by 44% year-on-year, primarily driven by strong Dubai bookings, while the fellow emirate of Ras Al Khaimah has benefited from increased all-inclusive sales for “budget-conscious” customers. Travel 2’s Asia programme is being bolstered by the addition of 30 new hotels – mostly in Thailand, Vietnam and Cambodia. While eight properties have been added to the Africa brochure, which are primarily in South Africa and east Africa. The US & Canada brochure will be released this month, followed by Australia & New Zealand in November, and Caribbean & Latin America in December. McCreadie does not buy into the idea the end of the brochure is nigh, adding the two brands plan to “print as many brochures as last year”. “There’s always talk about the death of the brochure but we don’t see that happening,” he says. “Brochures are evolving in their look and feel – they are becoming more image-led and selling the destination. Extra agent booking incentives for both Travel 2 and Gold Medal are running through September to the end of October, giving agents the chance to secure more rewards through their respective loyalty schemes, T2 Rewards and Gold Medal’s Farebank.